Netizens of Orissa have won again. The Central Government has accepted their demand and has declared to establish one IIT, one world-class University and a Central University in Orissa during the 11th Five Year Plan. When Bhubaneswar has been declared the seat of the world-class University, choice of site for the IIT and the Central University has been left to the State Government. But the Department of Higher Education under the Ministry of HRD has made it clear that notwithstanding the decision, establishment of these centers of academic excellence “is subject to State Government offering adequate land at suitable locations, free of cost, for the purpose”. Orissa had lost the National Institute of Science to West Bengal, as the State Government did not offer land for it in time. 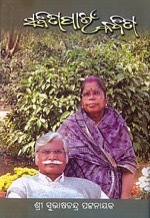 That the Science Institute finally came to us in the form of National Institute of Science Education & Research is because of unprecedented campaign by the netizens of Orissa whereto the MPs, the Assembly, the entire Oriya intelligentsia irrespective of land of residence had added their total support. Had netizens not taken up the issue, Navin administration was so negligent, the central government could not have been compelled to establish the NISER in Orissa. In view of this experience it is essential that the State Government rise promptly to the occasion and offer land for the three Institutes without loss of time. On enquiry it transpires that it is news to the Higher Education Department of Government of Orissa. This indicates that the State Government has no concern as yet for these Central Institutes. The Union Ministry of HRD has never come to the decision to offer these Institutes to various States including Orissa overnight. In fact, central decision to establish eight IITs has long since been on records inasmuch as locations of four of them, one each in Andhra Pradesh, Rajasthan, Bihar and Himachal Pradesh have already been announced. Had Orissa Government acted watchfully, taking the cue, it should have already kept the lands ready to offer for the purpose. But busy in finding and offering land to Anil Agrawal, Ravishankar gangs it has not yet thought of locating and reserving land for the Central Institutes and Universities. The Central Government, in a press release today, has stated, “actual establishment of these institutions would however depend, among other things, on how quickly the concerned State Government responds by allotting adequate land at suitable locations”. Navin Patnaik should try to read this statement between the lines. Netizens have won; let it not be lost due to his negligence. 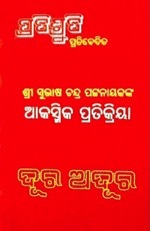 Let Biswabhusan of BJP lead the coalition in greater interest of Orissa. Orissa Assembly, in the midst of budget session has broken down. It could not conduct its business today. It was not a case of stonewalling; it was a case of continuous abandonment of the Chair by the Speaker. Never before the Assembly had experienced such a self-killing melancholy. It is a shame that the Chief Minister has failed so measurably in leading the State that his own party MLAs have pushed the rampart of democracy into the fold of mobocracy in the matter of a lady marshal versus the Speaker. We have suggested that the lady marshal should be first subjected to a polygraph test in order to scientifically determine as to whether she is telling the truth in raising allegation of sexual harassment against the Speaker; specifically as she has raised this allegation while facing charges for repeated dereliction in duty. If she is found to have told the truth, the ruling coalition should ask the Speaker to step down pending penal action. This being a case of honor of a lady and honor of a democracy, prompt medico-legal action for determination of the truth is seriously needed. But the Chief Minister is too confused and deficient in political acumen to proceed in right direction. It is shocking that the CM has declared to take action against the Speaker if he would be found guilty in an inquiry to be conducted. Subjecting a Speaker to investigations by a Police team or a House Committee or a Probe Commission is detrimental to the dignity of the highly esteem office he holds. Even if the investigation remains impartial, the Speaker would continue to be looked at askance in case he gets a clean chit and that would be more harmful for democracy. 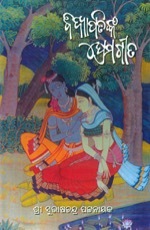 So, in such instances, where a delinquent lady raises allegation of sexual harassment against the person under whose orders she has been subjected to disciplinary proceedings, the lady must be tested first with a lie dictator in order to know if she is not playing tricks to frame up the disciplinary authority and to derail the proceedings. Otherwise, in no office where women work, discipline can be maintained. If polygraph test indicates that the lady is not telling a lie, political functionaries like the Speaker must forthwith be sacked by way of political action and then, the Government can proceed to prosecute him for the crime. Chief Minister Navin Patnaik has failed to understand this point. His reluctance to proceed promptly and diligently has encouraged publicity mongers and chaosists to rule the roost. House has collapsed before passing of the budget. As the leader of the House it was his duty and responsibility to convince the Opposition on the correctness of action he is taking; but instead, he has used confrontational stances. The Opposition under its politically more astute leaders had taken steps today to ensure that the chair abandoned by the Speaker remains free of occupation by others. Technically they were right as the Speaker, while abandoning his chair, had not expressed from his podium any authorization to any other member including the Deputy Speaker to chair the House. So, the business of the day could not commence and the session collapsed. It could have resumed only if the Speaker would have returned to his chair. But in the afternoon, a member of the presidium, encircled by women members of the ruling coalition, tried to force-occupy the Speaker’s chair sans authority and precipitated a free-for-all situation wherein, according to the women members, modesty was the casualty. It became clear that instead of protecting democracy, the government wants protection under mobocracy. Such ruin had never visited Orissa. The Chief Minister should admit that it would have been better had he more experience in politics. The ruling coalition should admit this too and change the leadership. The State is in a crisis. To overcome the crisis, the ruling coalition should search for a more experienced member from its within in order to replace Navin. If I could have any role to play politically, I would have suggested that Biswabhusan Harichandan of BJP should replace Navin. The BJP strongman is not known of any specific corruption, He is more experienced in politics and is an accomplished expert in Law and more importantly, he is regarded as a strongman of Oriya nationality. The BJD should admit that though Biju sycophants are in abundance in its fold, there is none amongst its members to be chosen as a Chief Minister. Therefore, in order to save Orissa from the ongoing and ever increasing political turmoil, it should prevail upon Navin to invite the BJP stalwart to head a collective leadership. If BJD adjusts it ego, the State may be saved. It seems legally sound that the Assembly needs to be called afresh by the Governor to pass the budget. But by then Navin should not be in the CM chair to further mar its march under confusion. Simmering under unabated exploitation Orissa Secretariat Staff has come to a boiling point where, unless Chief Minister Navin Patnaik rises to the occasion, the scenario his father had the occasion to endure may emerge with added vengeance. 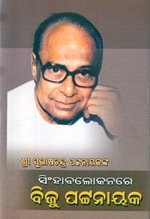 The Staff agitating against continuous exploitation had manhandled his father Biju Patnaik in the Secretariat on 6 May 1993. The Government has formed a common cadre of Secretariat staff comprising dealing assistants, typists, stenographers, diarists as well as officers of Secretariat Service and has placed it under the control of Home Department. But ever since the cadre was created in 1979, not a single member of the staff has been regularized with permanent status. On the other hand, around 1200 posts of Assistants and 300 posts of Section Officers are lying vacant in different departments and the existing staff is being compelled to bear extra workload. This is being perceived as sheer exploitation without extra payment. To add to their chagrin, the Home department has blocked the promotional avenue since two years as a result of which eligible persons are retiring on superannuation without promotion and others are facing stagnation in rank. The Home department has not reviewed the cadre position since 1981 whereas officers of national as well as provincial civil services are enjoying promotional prospects being dealt with by the General Administration Department that controls those cadres and reviews cadre position from time to time. This recalcitrant treat of Home Department is enraging the members of the common cadres of Secretariat staff. Home department being engrossed in law and order issue has no time for the cadre. But this cannot be the excuse for negligence of the cadre. Continuous negligence to job related issues of the Secretariat staff is heightening their despair into resentment. 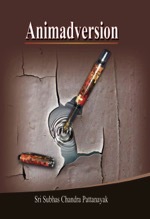 No body knows how explosive it would be when the staff finally decides not to tolerate it any more. But to avoid any such precipitation, it may help if the common cadres of Secretariat staff get transferred into the fold of GA department where management of higher cadres has already developed a cadre management capability. The sooner the Chief Minister understands this the better. Orissa Legislative Assembly in session has collapsed under a lady marshal’s allegations of sexual harassment against Speaker Maheswar Mohanty. This is when she has been suspended for the second time under charges of dereliction in duty. Mohanty from his side has withdrawn from presiding over the sittings till termination of the allegation on either establishment or rejection through investigation by the House. Opposition disagrees; as to it, a House Committee cannot be a reliable investigator in such a sensitive matter. It demands for enquiry through the CBI. Pending enquiry, the Opposition wants the Speaker to resign so that the investigation should proceed without any obstacle. The Chief Minister’s reaction to this is as lackadaisical as always in matters of public turmoil. Lack of comprehension or absence of ability to rule is responsible for this is yet to be determined. But this time dignity of the rampart of democracy is damaged beyond repair due to his deficiency in political acumen. Taking undue advantage of the situation, publicity hungry women activists even of obscure organizations have raised a big hue and cry in demanding the Speaker’s resignation as if the lady marshal’s allegation is absolute truth! How the session has collapsed under unrelenting demand of Opposition for the Speaker’s termination needs no elaboration. The lady marshal has got a great support base in shortsighted politicians and publicity mongers. The Chief Minister’s lack of ability to administer and his reluctance to act promptly and properly in the matter of such sensitive issues has helped the chaosists. If the Speaker is made to resign over such an allegation raised by a lady employee undergoing disciplinary proceedings for being derelict in her responsibilities then in no office where ladies work discipline can be kept. On the other hand, if a Speaker of an Assembly or the Parliament is of the habit of sexually harassing lady officials and escapes unpunished, democracy cannot survive. In such a situation the Chief Minister must act quickly. If he has no political acumen, his party’s shadow managers should prompt him to take a polygraph test of the lady marshal immediately. Science has developed the lie dictator machine. Forensic scientists having expertise in the operation of lie dictators should be asked to conduct the polygraph test on her. If it is determined that she is not telling a lie, the ruling coalition should ask the Speaker to step down forthwith and Law should be allowed to take its own course. Otherwise, the lady marshal should be prosecuted for trading false allegations against the Speaker. All the women activists and the Opposition should cooperate with such a step if the CM proceeds in this direction. If he does not proceed to find out first as to whether the lady marshal is telling the truth or not, it would be right for the ruling coalition to change the Chief Minister in best interest of Orissa as well as of democracy. It happens to human beings. It happened to me. My son and daughter-in-law have returned to their workplace at New York rejuvenating me with their loving care. 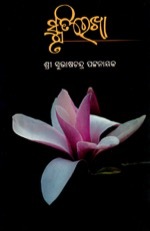 Now when I look at what happened during these days, I feel pierced particularly over denigration of our Assembly by BJP high command that has not hesitated to demonstrate that its Legislators in Orissa are such a stupid stuff that can be led by a leash and asked to do whatever their masters may want them to do like tamed animals do in the ring. They had done so in Vajpayee days by sending a shamelessly avaricious venal called Chhatrapal Singh Lodha to the Rajyasabha from Orissa who eventually got dismissed by the Parliament after media exposed him in flagrante delicto while taking money for putting a question. They have done so again now by electing Balbir Punj to Rajyasabha as representative of Orissa. I have nothing to say against Punj. To me, since more than fifteen years, he is a friend. I was a special invitee to the National Executive of National Union of Journalists when he was its General Secretary. He is clear in his comprehension and is very precise and perfect in presenting his views. He fits best to membership of Rajyasabha. A person like Punj cannot get elected to Loksabha whereto election depends mostly on uninformed majority. So Rajyasabha is the place, which should be the place for persons like Punj. And, I am sure, BJP could not have a better choice to Rajyasabha than Punj. Compared with other MPs from Orissa, he would no doubt be rated top in qualification and communication skills. If his party members from Orissa cast aside inferiority complex and cooperate with him in representing Orissa’s cause and concerns, I am sure, in him we would get the most effective MP. But notwithstanding this observation, I feel, he should not have taken advantage of unscrupulousness of BJP high command to hijack the Rajyasabha seat to which an Oriya was legitimately entitled. The incumbent Prime Minister Dr. Man Mohan Singh was not ashamed of giving a blatantly false statement of residence while grabbing a Rajyasabha seat from Assam. Punj has at least not given a false statement of residence in Orissa in his nomination papers. 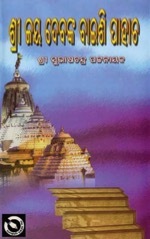 Rather he has tried to defend himself by claiming that he is entitled to seek election from Orissa under the provisions of the Representation of the People Act, 1951 (hereinafter called the Act of 1951), which in 2003 has been amended to facilitate election of any qualified Indian to Rajyasabha from any State of India. In 2003 self-seekers and political scoundrels were ruling the roost. They had no regards for democracy. They had no regards for the common people. They were busy in converting democracy to plutocracy. They were busy in innovating ever-newer methods to destroy whatever good-for-democracy properties our founding fathers had strengthened the Constitution with. So, the Act of 1951, which had stipulated that a person had to be an elector in a parliamentary constituency in the State from where he seeks election to Rajya Sabha, was amended to suit the purpose of party high command in ushering in any of their sycophants from any State to the Rajyasabha if in that State the numbers of their yes-men in the Assembly were enough to elect the party candidate, even though they knew this amendment would defeat the core purpose for which the Rajyasabha was conceived. As the Constitution was not easy to be amended for discarding State nativity with regard to the Council of States, they amended the Act of 1951 with the nefarious design in mind and parties in the Opposition being of the same feathers inasmuch as the high command culture has replaced collective leadership in all of them, this amendment, meant to kill the spirit of Rajyasabha, could be carried out and enforced. This reminds me of what Dr. Ambedkar had said in the Constituent Assembly in answering debates over provision of stiffer obstacles in amending the Constitution. He had said, “In the future Parliament, if it met as a Constituent Assembly, its members will be acting as partisans seeking to carry amendments …… to facilitate the passing of party measures which they have failed to get through Parliament by reason of some article of the Constitution which has acted as an obstacle in their way ……. That is the difference between the Constituent Assembly and the future Parliament. That is the reason, why the Constituent Assembly though elected on limited franchise can be trusted to pass the Constitution by simple majority and why the Parliament though elected on adult suffrage cannot be trusted with same power to amend it” (Constituent Assembly Debates, Vol.VII, pp.43-44). How accurate! As foreseen by the Father of Indian Constitution, the Indian Parliament has become a playground of partisan politicians. With partisan motive in the Vajpayee days, the Act of 1951 had been amended in 2003 to bring in party hoodlums to the Rajyasabha by killing the spirit of the Constitution in respect to nativity. 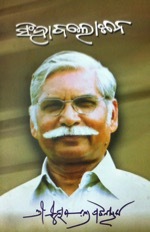 When Vajpayee had done it in order to ensure that venal elements like Chhatrapal Singh Lodha could come to the Rajyasabha from States wherefrom under the original Act, not being natives tereto, they could not have come, Congress, the main Opposition party, which had demoralized our democracy ahead of BJP by bringing in Man Mohan Singh to Rajyasabha from Assam on false document of nativity, had no moral guts to oppose it. Under such circumstances this partisan conspiracy by the rulers of 2003 against our Constitution could become the law. Any self-seeker may take the advantage of this bad law. But why should Punj? Basically a journalist and outstandingly so, he is supposed to have known it clearly that the 2003 amendment of the Act of 1951 was an act of mischievous maneuvers that Vajpayeeraj had formulated to obliterate quintessence of continuation of States’ representation in the Rajyasabha so that venal elements like Lodha, unacceptable to general voters but close to BJP leadership, could be brought in from any State under its grip notwithstanding not being natives to that State, to the Rajyasabha and awarded with coveted privileges as members of Parliament beneath which they could be able to operate safely their money-grabbing rackets. So, legally though not illegal, ethically it is incorrect on part of Punj, a conscience-keeper of people as a scribe, to grab the Rajyasabha seat of Orissa under the guise of 2003 amendment of the Act of 1951. The way Orissa MLAs of BJP opposed him before being nose-led to support him is enough indication for an experienced journalist like Punj to feel that he is and will continue to be an embarrassment to his electors. Once elected, he cannot be recalled by the MLAs who voted for him and unless dismissed by the Parliament as his predecessor Lodha had been, he cannot be stopped from functioning as a Member of Parliament. But as long as he shall be in the Rajyasabha this term, he would be looked at, even by his party members here, as an unwanted wart on the body politic of Orissa. It is better therefore, for him particularly, to relinquish the Rajyasabha seat and help any member of his party in Orissa to represent the State in his place in the best interest of democracy.